What Happens to a Florida Estate If the Will is Invalidated? There are many scenarios where a person’s last will and testament may be found invalid by the court. A successful will contest may be the result of undue influence, fraud, or proof that the decedent lacked mental capacity at the time the will was executed. But if a will is invalidated, what becomes of the decedent’s estate? The doctrine only applies, however, if the terms of the invalidated will are “substantially similar” to the prior document. For example, in a 2005 case, the Florida Fifth District Court of Appeal said the doctrine could apply to a case where a decedent made multiple wills during her lifetime, all of which reflected her intention “not to devise any portion of her estate to her children.” And in 2015, the Second District Court of Appeal held that in cases involving undue influence the courts should “incline toward a broader definition of similarity” when deciding whether to invoke the doctrine. The Second and Fifth Districts disagree, however, on what kinds of evidence courts may look at when assessing whether two wills are substantially similar. The Fifth District said a judge should “confine its inquiry to the testamentary documents before it without resort to extrinsic evidence.” In contrast the Second Circuit, whose rulings bind judges here in Fort Myers and throughout Lee County, held that “extrinsic evidence may be essential in order to grasp the true testamentary intentions of a testator who has left multiple wills, some of which may or may not have been affected, to some degree, by another’s undue influence.” The Florida Supreme Court has yet to resolve this conflict between the two appeals courts. Will contests are often complex. Beyond sorting out the legal issues, there is the emotional toll exacted on family members and other interested parties. This is why if you may be involved in a will contest, either as the executor of the estate or a potential challenger, you should work with an experienced Fort Myers probate litigation attorney who can guide you through the process. 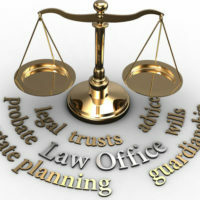 Contact the Kuhn Law Firm, P.A., at 239-333-4529 to schedule a free consultation today.